Will any of China's teams be competitive this Overwatch League season? The second season of the Overwatch League is very fast approaching. As successful as the first season was, the rapid expansion from 12 to 20 teams has caught some analysts by surprise. While adding teams always puts strain on a league’s talent pool, last year’s Contenders competitions unveiled enough depth to ensure we don’t have a catastrophically unbalanced 2019 season. 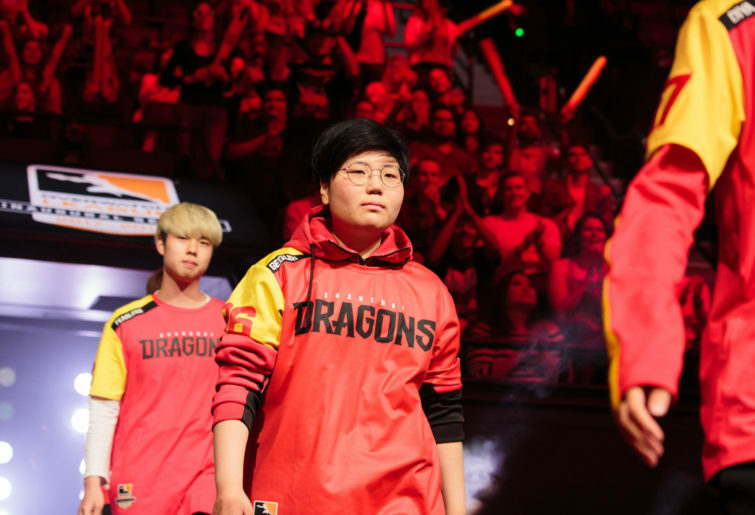 Two teams from the USA, two from Canada and one from France being added was more or less expected, but awarding three expansion franchises to China raised some eyebrows given the plight of the Shanghai Dragons. The Dragons raised (or lowered) the bar for first-season futility a season ago, losing all 40 matches and winning just a paltry 21 maps across the year. To put that into context, the eighth-placed Seoul Dynasty won 22 matches in 2018. It really is the equivalent of a football team going winless and scoring fewer goals than two thirds of the competition won games. Visa issues and all sorts of other problems prevented Shanghai from getting China’s top talent on stage, with the team proving little more than a punching bag for the rest of the competition. There’s no denying China are a strong Overwatch country. They recently finished runners-up at the Overwatch World Cup after topping their group – but is the pool deep enough to support four League teams? The Dragons have opted to avoid answering that question altogether, retaining just three players from their 2018 roster, instead poaching the nucleus of Korean Contenders side Team KongDoo Panthera as well as a handful of other development league players. You can never underestimate how much stronger a roster is when it comprises players who’ve played together extensively in the past. That said, Panthera were hardly worldbeaters in Korean Contenders last season. A runner-up finish in the second season was sandwiched by two non-appearances in the finals. Greater team communication and synergy should alleviate some of the ultimate economy woes that plagued the Dragons a season ago, but if you’re expecting them to rise up the standings, you might be disappointed. Will they go winless again though? No, because they’ll have some expansion teams to feast on. The new team I’m most worried about is the Chengdu Hunters, who have assembled one of the most hodgepodge rosters imaginable. 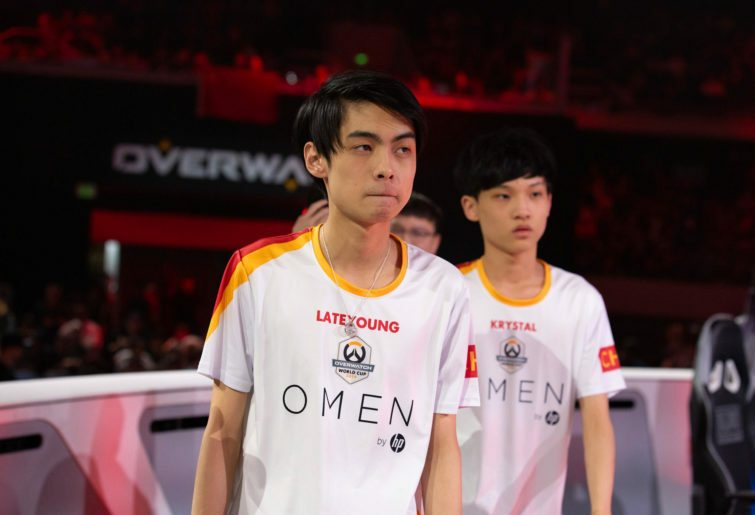 While they do have two members of China’s World Cup team on the list – LateYoung (Ma Tianbin) and Yveltal (Li Xianyao) – the rest of the roster is an uninspiring mix of singles and duos from five different Contenders teams. Team CC, who supplied three of the club’s players, never made it past the semi-finals in Chinese contenders, while not one of the other four teams the Hunters signed players from ever reached the knockout stage. The team looks to be severely lacking in both synergy and talent. Barring an unprecedented surge of early-season form, 2019 could get ugly, quickly. If you’re looking for this season’s cellar dwellers, it could very well be the orange and gold. Hangzhou Spark made headlines for their bright pink and baby blue colour scheme – with Hope Corrigan ranking them atop her expansion team aesthetic ladder. While their situation probably isn’t as dire as Chengdu’s, they aren’t exactly in any danger of topping the league ladder. For starters, they’ve taken the nucleus of a Contenders team like Shanghai – X6-Gaming in this case. Their X6 quartet of BeBe (Hui-chang Yoon), GodsB (Kyeong-bo Kim), NoSmite (Da-un Jeong) and Ria (Sung-wook Park) were integral to the club’s Season 1 Korean Contenders triumph, although the team did struggle from that point onwards. They’ll be joined by Chinese World Cup duo Krystal (Cai Shilong) and guxue (Xu Qiulin) – the latter of whom took the Bangkok qualifying stage by storm with unbelievable tank play. There’s definitely decent upside in the Spark, but also a worrying lack of depth beyond the presumed starting six. Hangzhou’s roster is filled out with a trio from Seven – a Korean team who crashed and burned out of Contenders over the first two seasons before floundering in Trials. As impressive as their Contenders pursuits may be, for now they remind me of a newly-promoted Premier League side. Every reason to be full of optimism, but potentially on track for a shattering reality check. Rounding out the expansion trio is Guangzhou Charge. While they aren’t able to boast any of China’s World Cup silver medallists on their list, ironically, they may be the best positioned of the three to make an impact in 2019. For starters, they’re the only Chinese expansion team with an established Overwatch League player on the list in ex-Philadelphia tank HOTBA (Hong-jun Choi). His experience will have much more of an impact than many realise, while their depth pickups from across the league are easily the most impressive. Shu (Jin-seo Kim) and nero (Charlie Zwarg) come across from Boston’s academy side, as does Kyb (Finley Adisi) from London’s, while they’ve also managed to pickup four players from solid Korean Contenders team Meta Bellum and consistent Chinese performers LGD. There is always the risk a roster comprising players of four different nationalities – and three different spoken languages – can go completely belly up. But, if they can get communication creases ironed out early, there’s every chance the Charge could emerge from 2019 as the country’s best team. Are they a playoffs chance? I’d still lean towards a firm no. They’ve made some of the best signings out of China’s expansion sides, but they’re still well behind some of the other new kids when it comes to roster strength – especially the Vancouver Titans. That’s not to mention the 11 other established teams, very few of whom look to be heading on downwards trajectories this season. All of this is not to say China does not ‘deserve’ Overwatch League representation or that Blizzard necessarily made the wrong choice in putting expansion franchises here. China is one of the view countries who take esports really seriously, and Overwatch League’s long-term goal has to involve broadcasting rights being picked up by interested parties – of which the country would have plenty. As much as we can complain about Australia being snubbed for a League spot, until the dinosaurs running our broadcasting platforms turn their calendars to this century we can’t expect to be given much more than we currently receive. In terms of what will happen on stage this season, we’re still probably going to see a lot of ugly affairs involving Chinese teams.